Contact any of our team members at Croatia to get the details on shipping to Croatia and book a low cost, fast and reliable courier to Croatia. The Republic of Croatia lies at the crossroads of southeast Europe and Central Europe. Tourism is an important industry in Croatia. Over years the demand to send parcel to Croatia has increased considerably. Thanks to our partnership with global courier delivery companies like FedEx, DHL, TNT and Aramex arranging a parcel delivery to Croatia is very simple and safe. Delivering package to Croatia was never as simple as made by Courier Force. We have a team of quick, efficient and hard working members for your assistance all the time. We also have live online chat team to answer your queries. We provide you with a completely free door to door service where your parcel is collected from your preferred location at your preferred time and reaches the destined location at the time when you want it to reach. 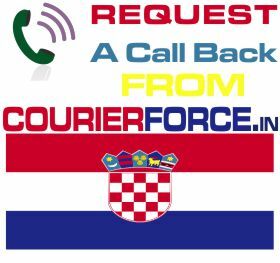 Get a quote today from Courier Force for your shipment to Croatia. 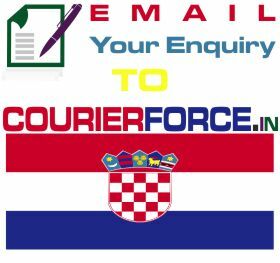 Prices below are door to door courier rates to Croatia from India. These charges are cheapest in India for sending courier to Croatia from India. This is by a courier company which is the best in industry for parcel services to Croatia. 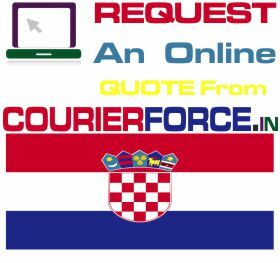 Again, Courier Force is one of the very few companies who have their own network for distributing parcel in Croatia. It will take anywhere between 3 and 6 working days to deliver your parcel to Croatia from India. We will be simply collecting the parcel from your business or residence in India and delivering it to your destination address in Croatia. Duties, taxes and customs charges if any (in Croatia) will be additional.